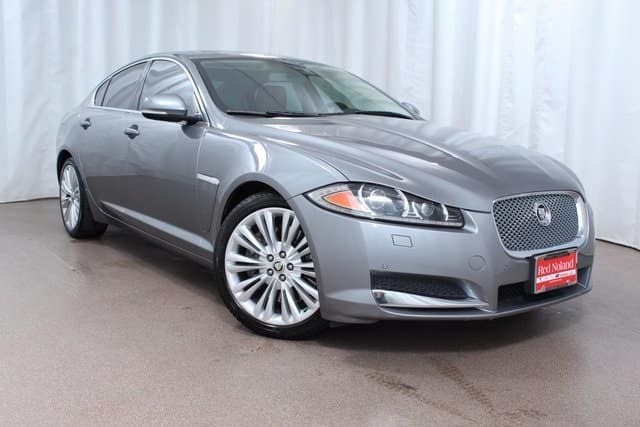 Jaguar Colorado Springs is offering a luxurious gently pre-owned 2012 Jaguar XF Portfolio for sale. This clean used sedan has just over 31,000 miles on the odometer, that’s an amazing 21,900 miles below market average! The 5.0L 32V V8 engine delivers 385HP and is the perfect car for power-enthusiasts! Some of the luxury features you will enjoy with this beautiful Jaguar include Premium London Tan leather seats with Warm Charcoal accents, 400W Premium Jaguar sound system, power moonroof, Brake Assist, Navigation, 19-inch Caravela 10 Twin-Spoke Alloy Wheels, and many more incredible features. At only $24,000, this beautiful Jaguar XF is priced to sell quickly. Stop in to Jaguar Colorado Springs and test drive this exciting vehicle today! There are so many amazing features for you to test out! Let us show you all this gently used vehicle has to offer.